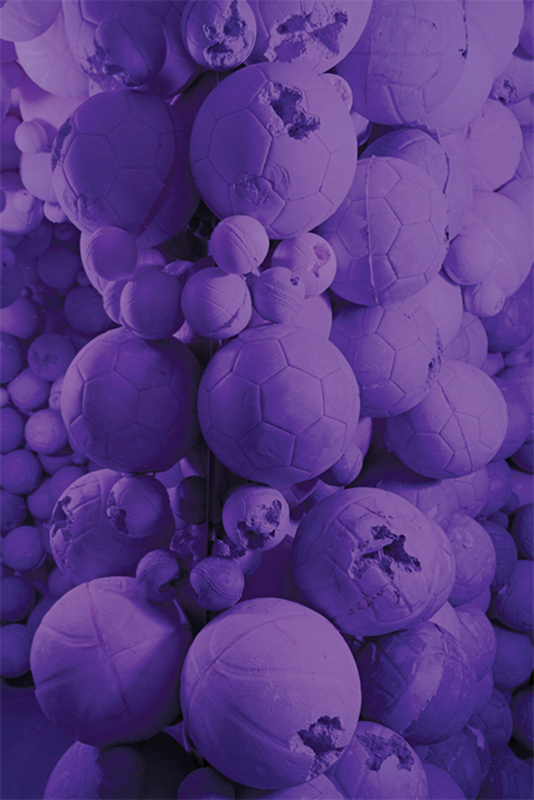 Daniel Arsham, Amethyst Sports Ball Cavern (detail), 2016, amethyst crystal, quartz, Hydro-Stone, dimensions variable. This show guides the viewer through three distinct environments: a cavern of crushed-amethyst athletic balls, an hourglass-filled gallery, and a Japanese Zen garden patrolled by a performer in the guise of its resident hermit-monk. In lieu of rocks, this figure tends to a garden of sculptures cast from everyday objects, which Daniel Arsham offers up like riddles for some future archaeologist to decipher. For these works, the artist forgoes the monotone grays of his earlier casts in favor of blue calcite, a startlingly vivid material Arsham began using only recently, following the correction of his color-blindness. This jolt of color effects the estrangement typically lent by historical distance, fostering a reading of the objects as apocryphal artifacts that must be negotiated within the Zen garden’s purposefully ahistorical terrain. 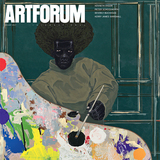 The exhibition thus enacts a temporal suspension not unlike that of its eponymous timepiece, perpetually overturned.